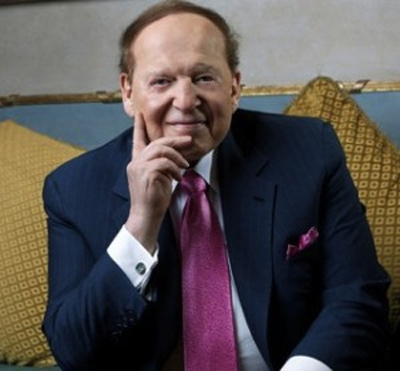 The casino owner Sheldon Adelson, owning several hotels and casinos established in Las Vegas, Singapore and Macau declared with intensity his reluctance to a possible legalization of online poker at the federal level. The CEO of Las Vegas Sands, who is conquering the Spanish market by implanting a hotel complex in the region, has effectively emitted outrageous comments on that subject, during a video interview. He did not mince his words by declaring that authorizing the operation of online poker at the federal level would be as a road to shipwreck. He also qualified poker such as cancer or drug, putting particularly in danger the life of young people; without forgetting to bring up the harmful effect of poker at the level of safety and environment. The 80-year-old billionaire maintained that he is not afraid about the drop of his income; however, he did not omit to talk about the difficulties met by land-based casino owners in the countries which legalized the market at the national level. In fact, terrestrial casinos found that it is difficult to stay in competition face to online casinos and they knew a strong fall of activity. Note that Sheldon Adelson led with the Governor of New Jersey, Chris Christie, an infernal struggle against the project of legalization of online poker in the State of New Jersey. Even if he was not successful, he did not bow. A priori, the Poker Player Alliance and other supporters of the legalization of online poker have to face a quite influential lobby from casino owner, in addition to Indian reserves and religious lobbies.